Designed by famous Italian designers Ludovica and Roberto Palomba, the Palomba collection features minimilist designs that combine geometrical and organic shapes. 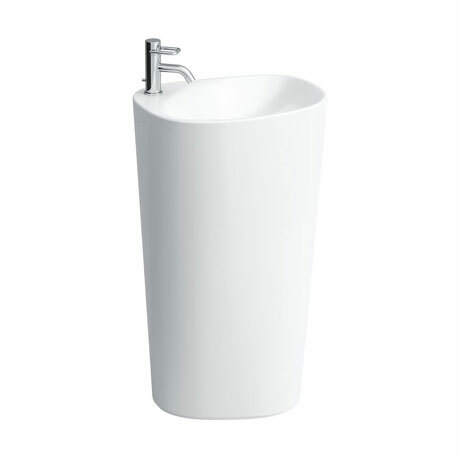 This eyecatching freestanding basin features a single tap hole to the left and is also available with a wall connection option. It is made from vitreous china meaning that it is strong and robust, therefore able to withstand the daily uses of the bathroom. All Laufen sanitaryware is guaranteed for 5 years.